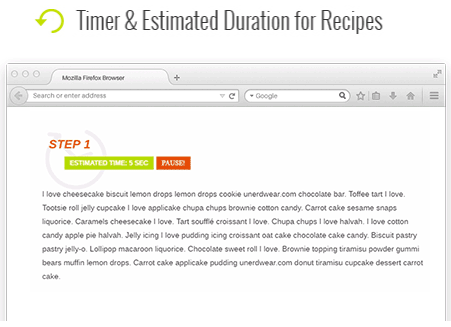 This new feature allows your subscribers to time exactly how long a recipe step takes. Also has a pause button feature in case you wish to take a break. At the end of the estimated time, you will hear a nice bell sound.